Come join us for a Walt Whitman 200th Birthday celebration at Axe Library on April 25th. 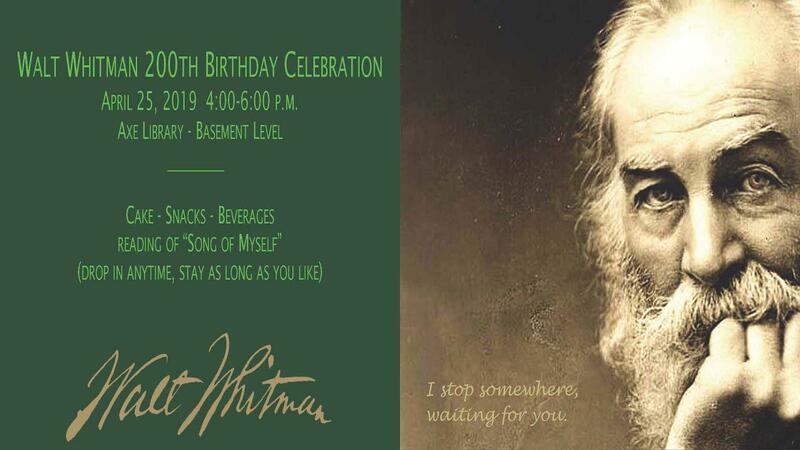 From 4pm-6pm there will be food, drink and cake to celebrate Walt Whitman's life and works. Guests can participate in a reading of "Song of Myself" during the 4-6pm event. Feel free to drop in and stay as long as you like. Event organized by the English and Modern Language department in partnership with Library Services.